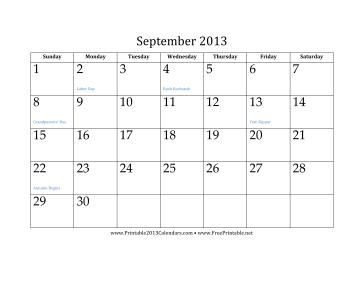 This free printable calendar for September 2013 includes major holidays in blue and shows the entire month on one page. It can be downloaded in PDF or customizable DOC format. Free to download and print.